It is the duty of business owners, CEOs, and company board members to regularly inform their stockholders about the status of the company that they have invested in. 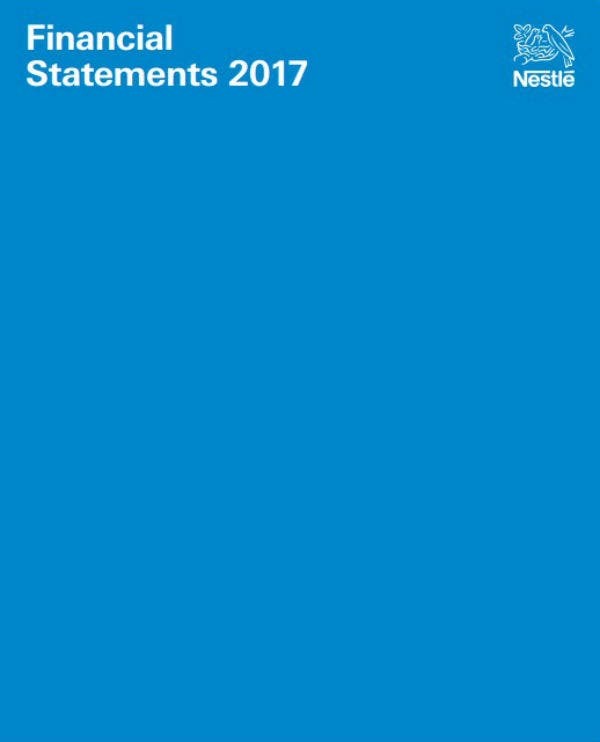 Public companies are even required by law to create annual statements as a way to report to their various stakeholders. In some cases, financial reports are even required by banks and financial institutions if entrepreneurs want to get a business loan. So if you are required by law or if you are just interested in creating the best annual financial reports for your business, you will certainly benefit from this article. Here, we provide multiple tips on how to draft and prepare your own financial reports. Of course, it goes to show that most of the financial data compiled in any kind of financial report should be gathered and analyzed by licensed accountants. Nevertheless, this article will still provide countless tips that small and medium business owners can take note of and apply in their own financial report writing process.You may also see Report Templates. 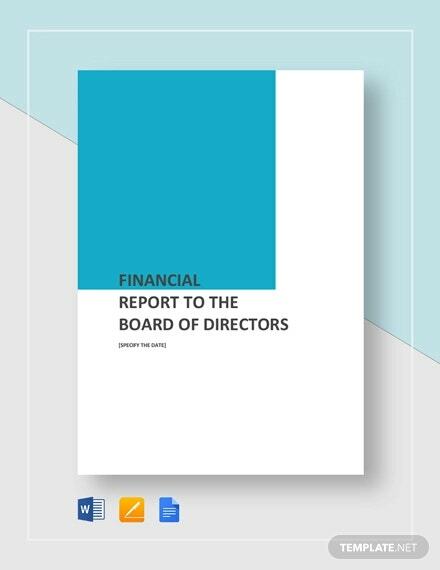 In addition to all the financial report writing guidelines that we will be sharing, later on, we have also curated some of the best and most update annual financial reports and report templates that are used by real-world businesses and organizations. Each pre-made template is embedded below for anyone to download, review, and use as a base for their own company financial report. A financial report is a document that provides information on a company’s, organization’s, or an individual’s financial performance over the course of a fiscal year. As we have mentioned earlier, most companies are required by the boards or by law to create this kind of report on a regular basis. The most common type of financial report based on the frequency that it is released is an annual financial report. As its name suggests, a yearly financial report is created and provided to a business’ or organization’s stakeholders at least once a year. 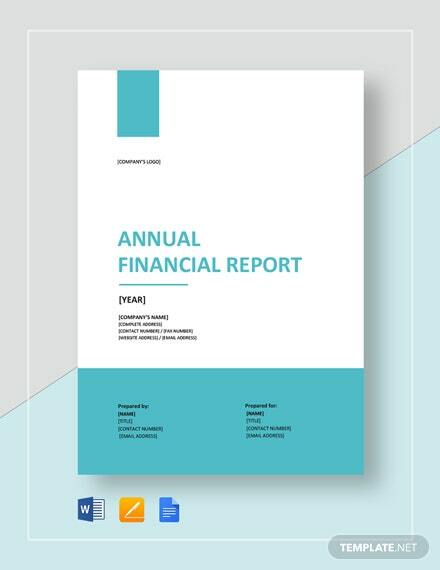 An annual financial report may also be considered as an analysis report since it will contain an explanation of all the different issues that affected the business financially. Financial reports may also include a financial audit report, financial statements, and other corporate reports. The most common feature of an annual financial report are the tables and charts that are mainly used as a visual tool in representing statistical and monetary data. There is no one standard format to follow when writing an annual financial report. Some companies may have developed an exclusive template that will only be used for their own company. For those who do not have an idea on how to start their own financial reports, your best bet is to ask the help of a licensed accountant while also taking a look at all the free report templates included in this article. By using these templates, you will have a better idea of what specific things are required of your business if you want to start drafting the contents of your own financial report. As promised, we have curated and listed down the top tips or guidelines that every business owner and head management teams of companies and organizations may follow to ensure that they are communicating effectively with the use of their annual financial reports. Internalize each tip or guideline so that you can think of different ways on how to apply them to the creation of your own company reports. 1. Remember to include all the financial reports. Yes, you read that right. 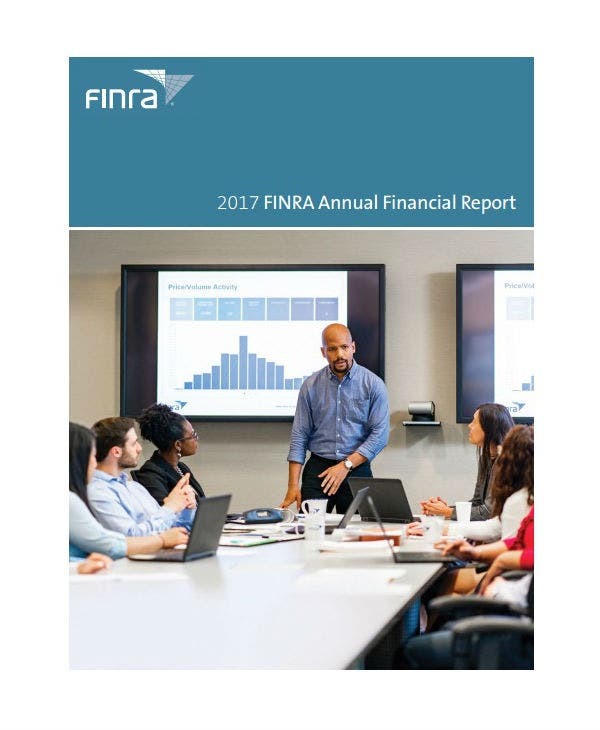 An annual financial report is not just one single piece of paper or a digital document file about a company’s or an organization’s state of finances. It is actually a collection of different reports that will help business owners, investors, and auditors get a better sense of an entity’s fiscal status. You can also read financial report templates. Therefore, when you prepare an annual financial report, make sure that the other component reports are also present. 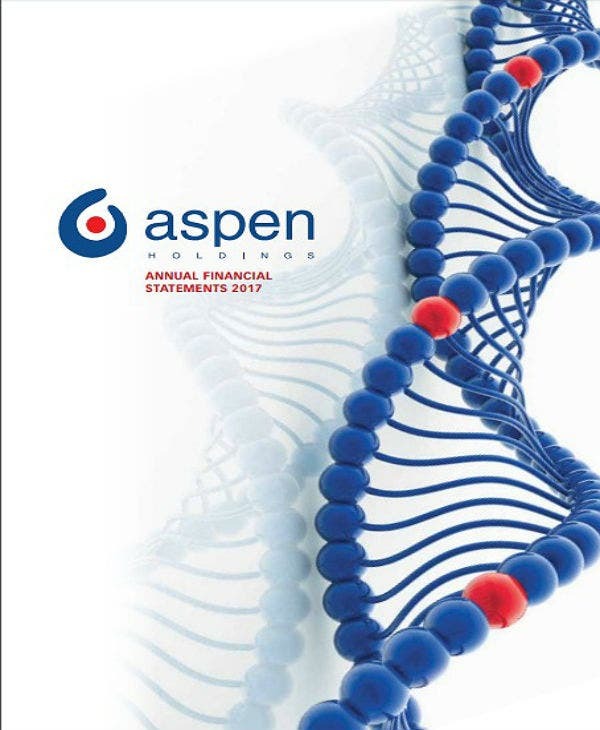 These are the different balance sheets, income statements, cash flow statement, stockholder’s equity statement, financial statements, press releases, other quarterly and annual reports, audited external reports, government-mandated reports, and other relevant data that will be important in creating a picture of an entity’s finances. 2. Follow a financial report format. The next tip that everyone should follow is to use a financial report format. 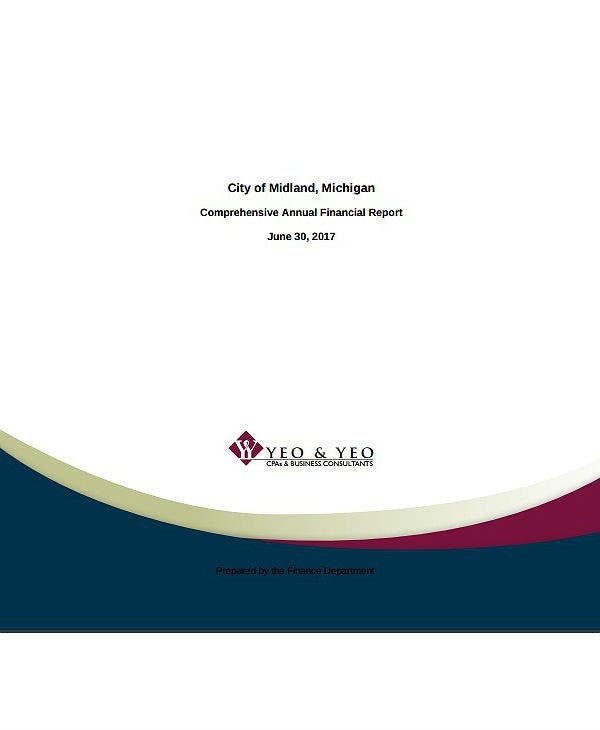 You may easily copy the report format of any of the different annual report templates embedded within this article. What is important is that you are using a report format to make your financial report more readable and appear more credible. When investors and stakeholders see that they are reading a well-designed and well-documented annual financial report, they are more likely to trust it at face value. Also, following a report format will help streamline the entire report creation process. You may also like treasurer report templates. 3. Always have the numbers reviewed or audited by a qualified person. The number-crunching and data analytics required in order to create an accurate annual financial report can be pretty mind-numbing. And whether your business is using a computerized or manual accounting system, mistakes are bound to happen. Therefore, if you wish to prevent issues associated with the financial data presented on your final report, it is best to make sure that the entire financial report is audited by qualified auditors or accountants before it is released to the public. Most companies, especially those listed on the stock exchange, are required to have their financial data audits regularly and for every financial report that they release. This is another way to prevent inconsistencies in the reporting of company earnings and/or losses. 4. Check for typos, facts, and sources. As we have reiterated earlier, it is best to have all the qualitative and quantitative data presented in your annual financial report be reviewed for accuracy, typographical errors, and other issues before printing it. This is a rule of thumb especially for those who want to make sure that their business maintains an image or credibility and trustworthiness. You can also like end of year report templates. 5. Maintain honesty and integrity of the report at all times. A cardinal rule in creating official reports for companies and organizations is to follow a strict code of ethics. And this aptly applies to the creation of annual financial reports. As an entrepreneur, you should make sure that you follow your industry’s accounting standards and help craft truthful and genuine financial reports at all times. In a world where business owners and boards can easily short-change their stockholders by reporting lesser earnings and diverting funds to off-shore accounts, be a light in the darkness and set an example to your employees and colleagues. 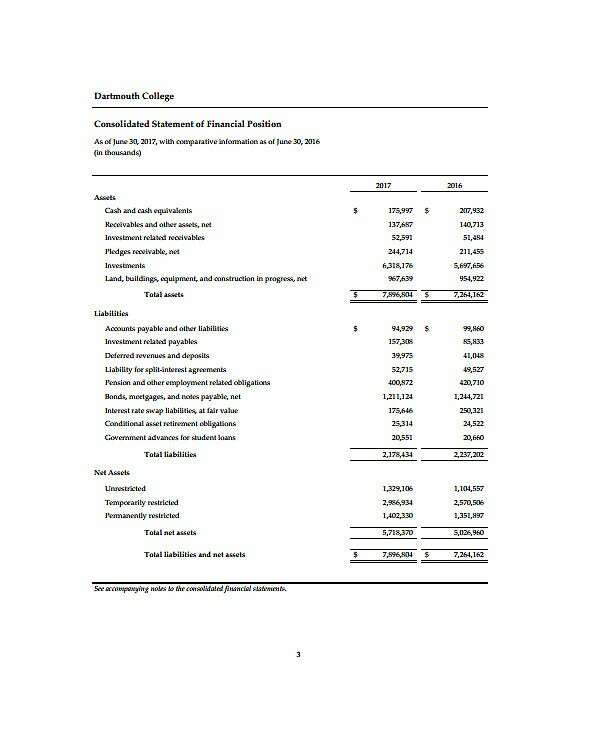 You can also like church financial report templates. 6. Include a section to write your financial analysis. When reading an annual financial report, most people will just skim through the tables and graphs on the report and focus right away on the analysis portion of the report. Therefore, if you are creating an annual financial report for your business, always make sure that you include a financial report analysis section. Also, make sure that the report analysis is written clearly and concisely. It should draw its conclusions from hard evidence or data obtained during the entirety of your financial audit. This way, anyone reading the financial report will have a greater understanding of your company’s financial status during a certain fiscal year. 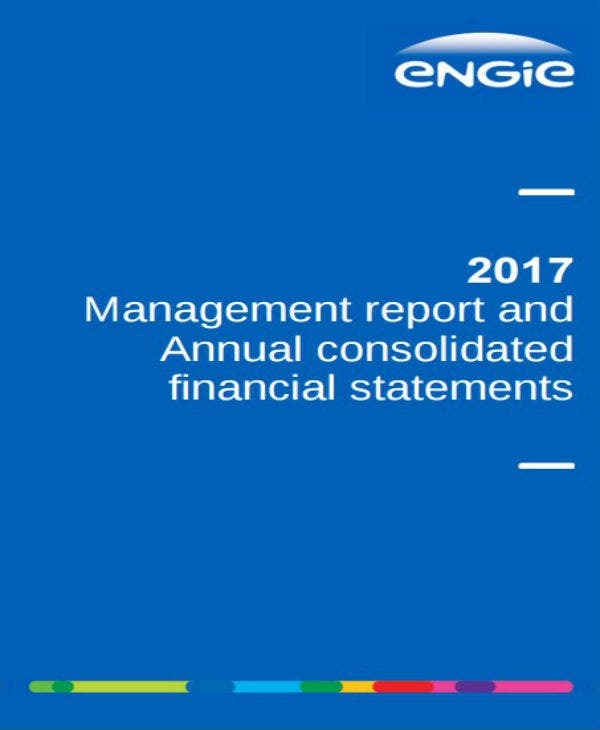 You can also read annual report templates in word. 7. Make the final annual report available on different channels. Lastly, once your annual financial report is completed, always make sure that the report is sent out to all your stockholders, investors, government auditors, news agencies (if you want it to be covered by the media). The report may be printed on paper, formatted like a brochure magazine, and then handed out during your company’s annual stockholder’s meeting. In addition, you should also make sure that the entire report can be accessed on different platforms. You may send a PDF copy to your stockholder’s email addresses (with their permission), post it on your company website, share a link about it on your social media pages. Share the news about your company or organization’s annual financial report far and wide. This way all stakeholders and interested parties will be aware of your company’s transparency and, of course, financial status. It’s Time to Create an Annual Financial Report! As we have mentioned earlier, any kind of financial report is best prepared and/or approved by a licensed auditor or accountant first. 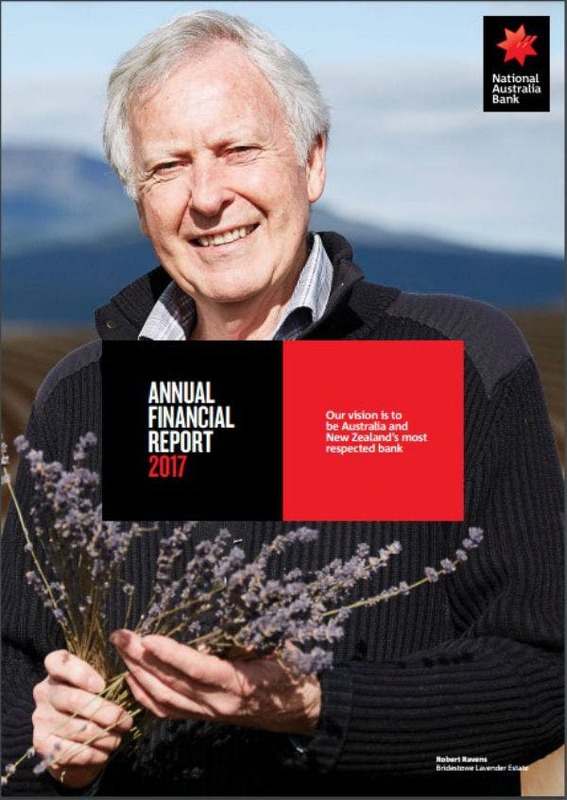 Nevertheless, it is still important for entrepreneurs to take the initiative and review the format and narrative of the annual reports they are creating. They need to make sure that their financial reports are as accurate as their real financial figures and as in line with their business brand. By doing this, your company stockholders, investors, and other interested parties will find your business more trustworthy and genuine— something needed to foster a good long-term business relationship. 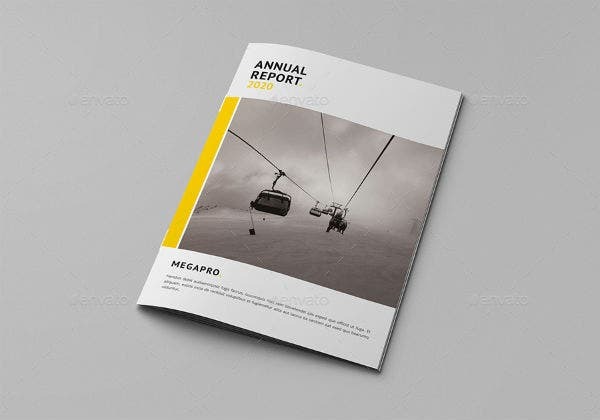 For more information on different kinds of business reports and how to create them using pre-made printable templates, feel free to check out the rest of our website. Also, do not forget to help spread the word about this rich resource of an article by sharing it with your colleagues, friends, and followers on social media.